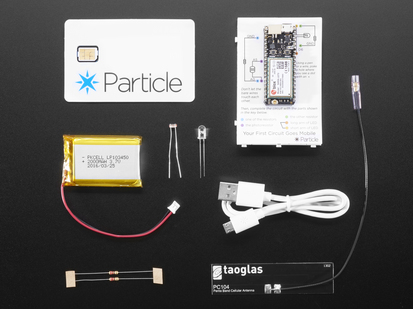 Connect your Raspberry Pi 3 to the Particle Cloud with this Particle Pi Starter Kit. 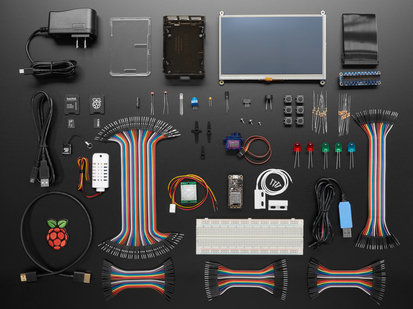 The Raspberry Pi is already the world's most popular low-cost computer, and a powerful development tool for building connected projects. 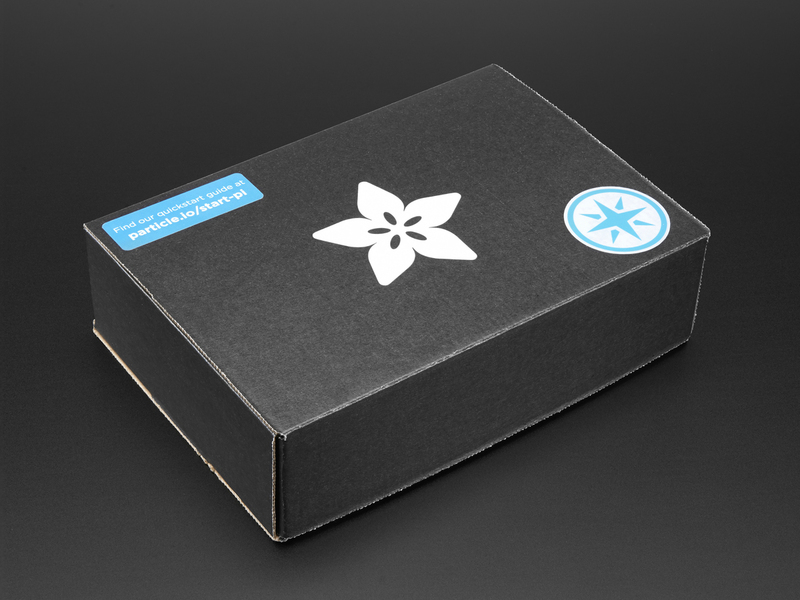 This starter pack contains the essentials of our Raspberry Pi 3 Starter Pack with added sensors that will open up your Pi to a bunch of IoT applications. 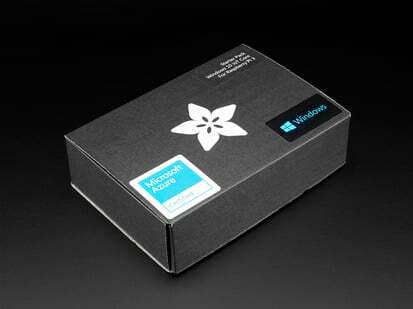 By purchasing this pack, you are guaranteed to access to the Particle Pi Beta. Please follow the instructions in your confirmation email if you would like to enroll. 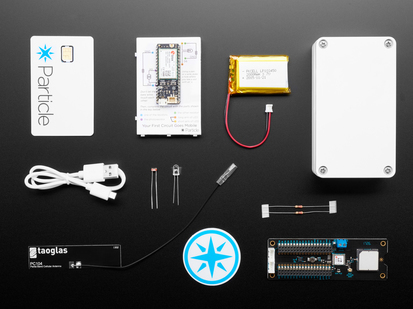 Connecting your Pi to the Particle Cloud gives it a few more key features that will make building IoT projects with your Pi easier than ever. Simple Arduino Code: Use the existing Particle Web IDE, and program your Pi with Wiring. 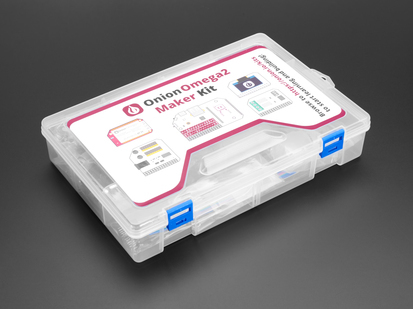 No more complicated tooling, setup, or scripting to perform simple tasks like toggling a pin, blinking an LED, or reading a sensor value. Over-the-Air Updates: Safely reprogram code running on your Pis one at a time in the Web IDE or as a fleet of devices in the Console. Batch Script Execution: Remotely execute customized scripts on groups of Raspberry Pi's using the exec command. 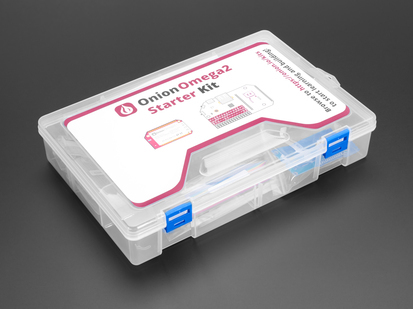 This kit was specifically designed with the home tinkerer in mind. 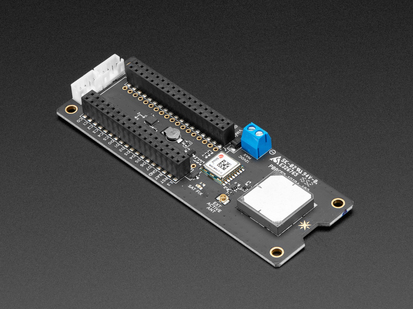 Use the included remote control and particle connection to send a tweet, access IFTTT, or trigger a remote actuator over the web. 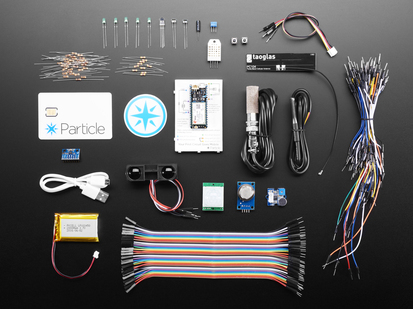 When you aren’t within remote range, remote into your Pi through the Particle Cloud and flip a light switch, turn off a circuit, or monitor a security camera. 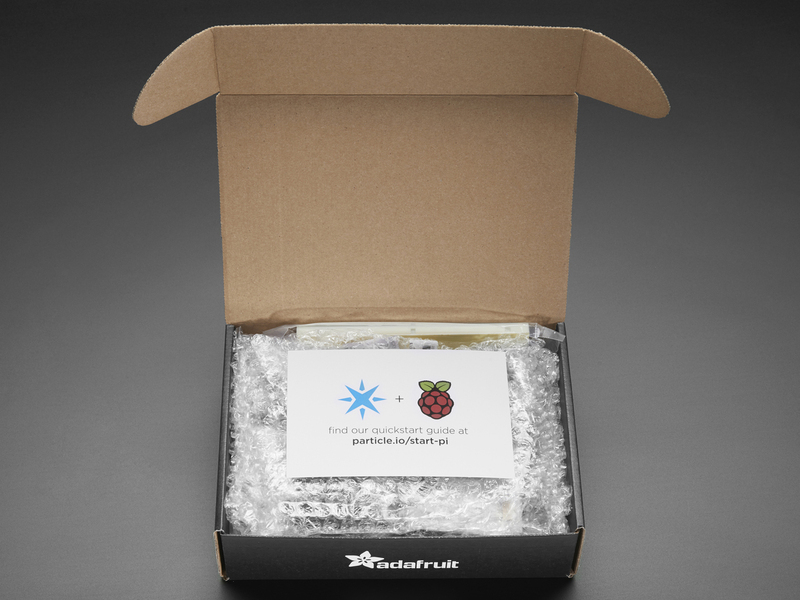 Raspberry Pi 3 - Model B - ARMv8 with 1G RAM AND built-in WiFi - The FRESHEST freshness that's EVEN MORE FRESH than the already fresh Pi 2. This is hot off the presses, selling-like-hotcakes, Wi-Fi enabled, blindingly fast, credit card sized computer with quad USB ports, quad-core ARMv8, 1G RAM, and a little BlueFruit Low Energy that all make this board essential. 8 GB SD Card pre-installed with the latest NOOBs V2.8 distribution - An 8GB microSDHC card programmed with the latest Raspberry Pi NOOBs distribution. 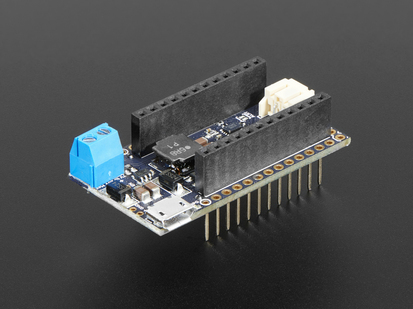 Mini Remote Control - Handy for controlling a robot or other project from across the room. It has 21 buttons including directional buttons and number entry buttons. The remote uses the NEC encoding type and sends data codes 0 thru 26 (it skips #3, #7, #11, #15, #19 and #23) to address #0. You can use this to control something that is expecting NEC codes or you can pair this with our IR remote receiver sensor. IR (Infrared) Receiver Sensor - TSOP38238 - Tuned to 38KHz, perfect for receiving commands from a TV remote control. Runs at 3V to 5V so it's great for any microcontroller. MCP3008 - 8-Channel 10-Bit ADC With SPI Interface - This chip will add 8 channels of 10-bit analog input to your microcontroller or microcomputer project. On-Off-On-Off Alternating Power Button / Pushbutton 3-Way Toggle - A breadboard-friendly push-button toggle switch that connects and disconnects the middle pin from either of the two side switches with every click. This clicky switch makes a great power switch or mode toggler and can reliably handle up to 500mA and up to 12VDC. Photo cell (CdS photoresistor) - Tiny light sensor. As of September 21, 2018 we've updated our power supply to be 5V 2.5A and the SD card with NOOBs now is installed with version 2.4.